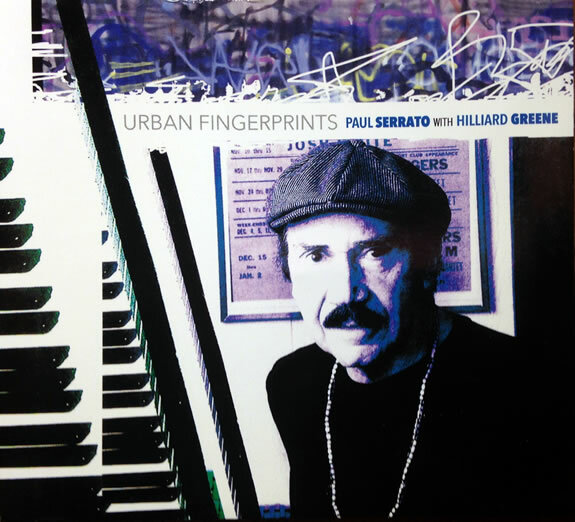 Jazz artist Paul Serrato is one of those cool cats who left his native Omaha to do his thing in the big city. He carved out a nice career in New York as a pianist, arranger and composer. He has serious chops and he’s well respected in the jazz world for his talents. 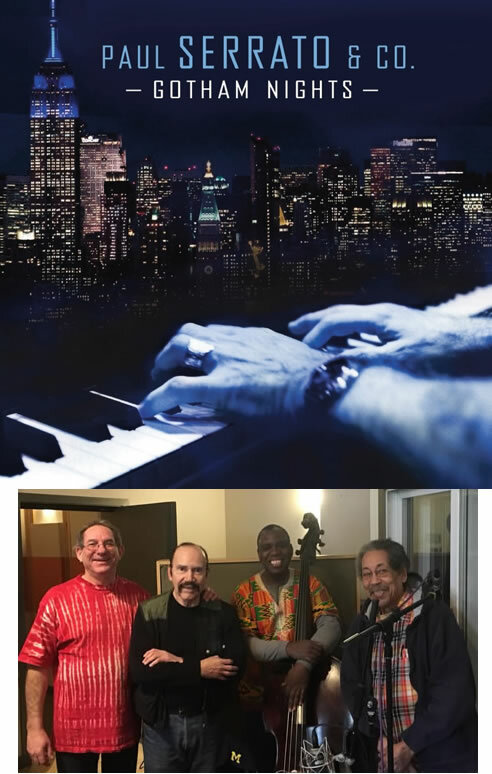 Now, decades after leaving here, he’s come back to his hometown something of a jazz legend to aficianados, though he’s largely unknown to the general public. He’s one of those classic cases of being unappreciated in his own backyard. That’s partly due to the fact that jazz is off most people’s radar. Then there’s the reality that he was not in Omaha when he did make a name for himself in the Big Apple. But he’s come home to stay and he’s eager to share his work with Omaha audiences. My guess is he will get the recognition he deserves here before too long. 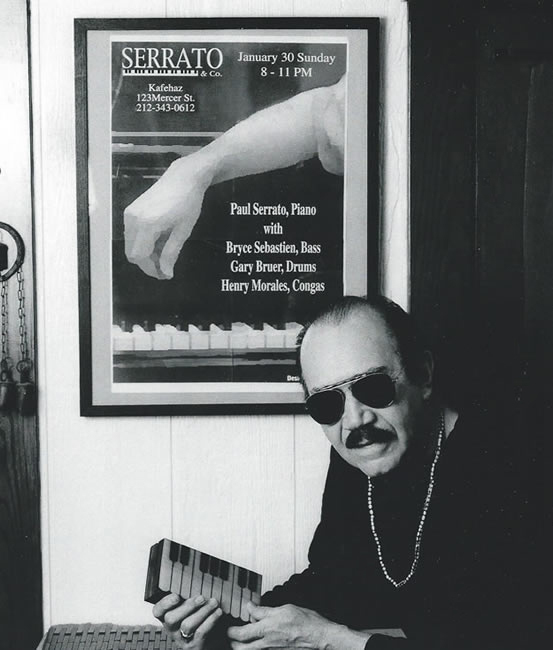 Jazz pianist-arranger-composer Paul Serrato left his native Omaha more than 50 years ago to pursue a theater and music career in New York City. He found considerable success there. He led headlilne and backup bands, he soloed and did sideman work at top clubs. 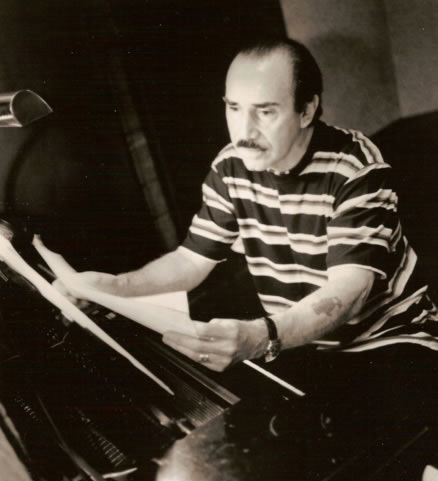 He composed original music for hit underground, off-Broadway plays. He recorded and released several well-reviewed CDs on his own Graffiti Productions label. He was the first to perform on the Staten Island Ferry. He was a regular artist in the Jazz Vespers series at St. Peter’s Church. He appeared on the Joe Franklin Show. He would return to visit family and friends. In 2011 he came back here to stay. He performs around town, including a regular gig at The Addicted Cup in the Old Market. He’s preparing a new CD highlighting some never released original music. Why move here after so many years away? “Well, it was a push-pull thing,” he says. His mother, who had remained in town, died and rather than give up “the family compound in South Omaha” he decided to move in. It beat the Big Apple’s high cost of living. Omaha is where it all began for Serrato. He grew up the only child of a single mother. He never really knew his father, who left for Calif. It’s only in the last year Serrato discovered half-siblings on the west coast. “We’ve really bonded,” he says of his new found family. Times were tough for Serrato and his mom. She traveled wherever she could find factory work. “I went to school in Michigan, Texas, Tennessee,” says Serrato. His love of the piano began as a young boy. An aunt in Omaha played a big upright he couldn’t resist. He started lessons at age 9 and quickly showed promise and passion. He won local music contests and was a featured soloist in school concerts. He played mostly classics until happening upon jazz. By high school he was living in Omaha again. Soon after graduating Creighton Prep in the late 1950s he left for Boston University to study theater arts. Then New York beckoned. He was a regular at the landmark Birdland. He also took composition studies. His studies continued. His resulting music expresses the energy and edge of the bustling city. He calls his sound urban jazz – not by the rules. “You’re a product of your culture, whatever it is,” he says. He acknowledges a strong Latin influence in his work. 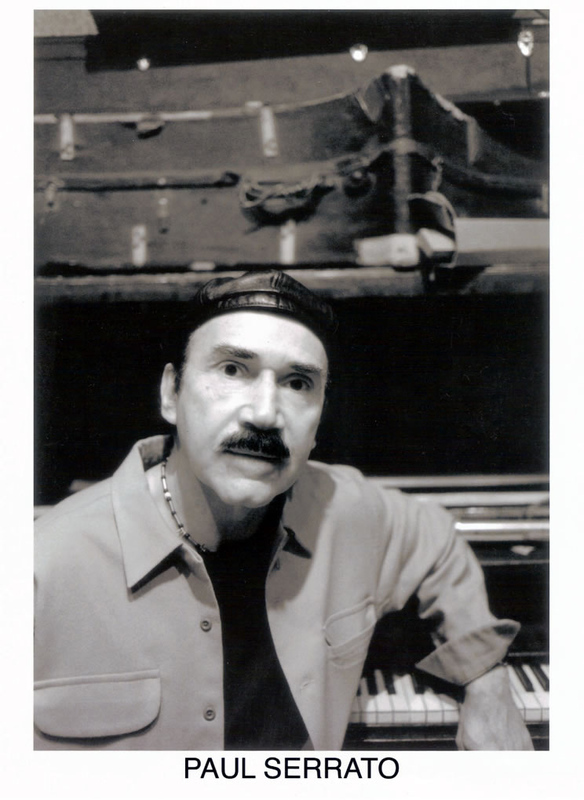 Conga player Candido Camero was “a great inspiration,” he says. 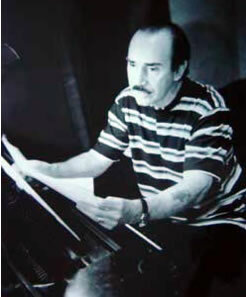 Serrato’s worked with several conga players over the years. He recently found a new one – “He’s got the licks, man” – with whom he hopes to perform and record. He identifies strongly with his Mexican heritage. He didn’t grow up speaking much Spanish but he fell in love with the language and became an English-as-Second Language teacher for Spanish-speakers. His early years in New York he supported himself working odd jobs, including tending bar. While managing a Greenwich Village bookstore he met artists from the underground scene – poets, playwrights, painters, singers. “That’s a great thing about New York, where you just collide with people. In that New York downtown underground culture nobody was dictating you to write it this way or that way, so I was writing jazz for singers to perform in plays. I had the field to myself because nobody else was doing that. Everybody was doing like rock songs and the Velvet Underground, and I loved the Velvet Underground but that wasn’t what I was doing. I was a novelty. 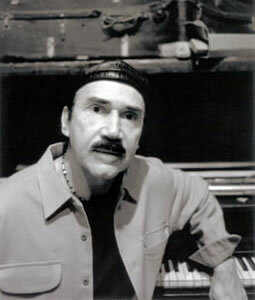 Serrato made tours of London in the 1970s. More recently he’s performed concerts in Japan. His work’s been featured in television documentaries, included An American Family, and in the HBO dramatic movie, Cinema Verite. He says New York is “where I’ve done my most memorable creative work and I’m hoping I can transfer some of that to Omaha, and I’m having some gratifying success. I’m meeting some really good musicians. He looks to add to a personal recording catalog that includes the albums AlterNations, Pianomania, Excursions, Origami and Nexus. His next Addicted Cup gig is June 29 from 4 to 6 p.m.
Find more about the musician at http://www.paulserrato.com.